I have decided to write a new blog where I interview songwriters working in the industry about their songwriting tips, secrets and experiences. Hopefully over time it will grow into an invaluable collection of material that will inspire budding songwriters and give experienced writers some fresh ideas. 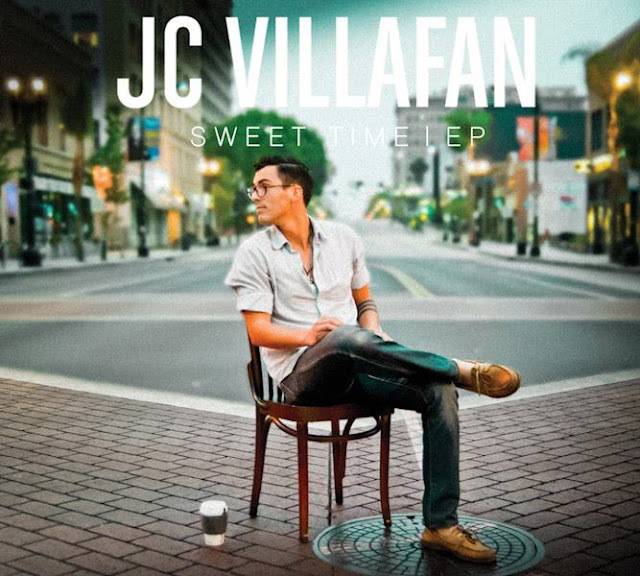 Jc Villafan ,a little Mexican kid from L.A, as he calls himself, is a self-managed singer-songwriter who is wasting no time in performing his infectious and uplifting soulful songs to as many audiences as possible. I met him in Manchester on the UK leg of what seems to be a pretty much never ending tour. When you meet JC you realise he has drive, determination and that he is not afraid of hard work. He also has a great sense of humour and is making the most of all the different experiences being on tour has to offer. His debut Sweet Time EP is available now and he is currently working on his second. 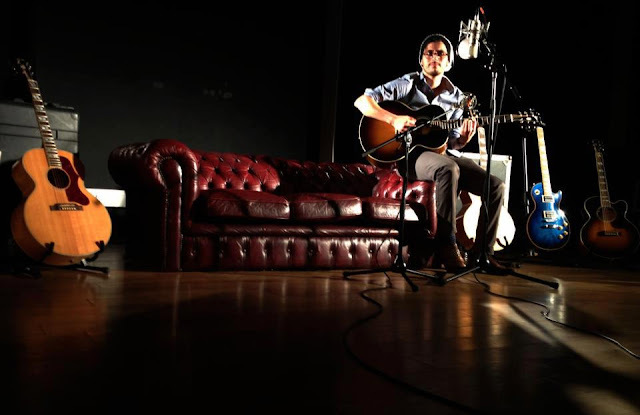 Do you have a daily songwriting routine or do you wait for inspiration to strike? I simply write when inspiration strikes. I've tried to create a routine for myself but I realize that doesn't work for me. Do you have any tricks to get the creative juices flowing? I don't.. I wish I did! Do you normally start with melody or lyrics? I normally start with the music. Occasionally I start with a melody but that usually makes my guitar parts a bit more dull so I try to stick with making guitar parts first. I then allow the sound of the guitar to tell me what to write about. How long does it take you to write a song? It usually takes 2 - 4 months to write a song. I never pound through writing a song. I just make the chords for the verse and/or the chorus. I leave it be and come back a week or two later. Then I develop the melody to the music. I usually leave it for a month or two and finish with lyrics when I come back to the song. But I do this with about 12 songs at a time, so some are farther along in the process than others. Could you explain a little about the writing process behind a few of your songs? 1) 'Romance 'was a vocal melody driven song from the start. I got the melody while I was asleep. I woke up at about 2 AM with that melody stuck in my head. I was half asleep but needed to remember it, so I reached out for my phone and recorded the first part of the melody. I later came back and accompanied the melody with chords. 2) 'Sweet Time'. I wish I could tell you how I wrote this song.. But from what I remember, I locked myself in my room for a few hours and told myself I wanted to make something new and bold. The riff just came to me. I went to my back yard for a cigarette (back when I smoked) and tried to sing along to the guitar part. Took me ages to figure it out but finally I got it. Do you have favourite keys to write in? I try to write in keys that favour my voice. Such as E or B. Do you think technical knowledge of theory is important or does it get in the way? I think it's important. However, I think it's more important to develop grooving with people. That will take you a long way. No one really cares if you know what mixolydian means or if you know how many flats are in a F scale.. I think what they care about is if you can either write songs or hang with them. Do you tend to revisit your songs and rewrite them? I never do. Do you write songs with a view to being commercial and following current trends? Not really. I have in the past but these days when I write I'm completely honest with myself and my audience. People don't need more artists with facades. If my song comes out bouncy and pop-like, well that's just probably what I felt like writing at the time. If it comes out a bit more melancholy than that's cool too. Have you done much co-writing and if so what do you see as the benefits? Experience is the best benefit I understand from co-writing. I haven't done too much of it to be honest. But I realize now that it's simply because of my method of writing. There aren't too many people I can write with every other month. Who do you view as great songwriters? Who has inspired you musically/ lyrically? I think a great songwriter is someone who has great creativity for melodies and lyrics. I love Coldplay and their song compositions - even if their songs sound the same. I also really enjoy Michael Kiwanuka and Elton John's lyrics. Do you feel that when there's conflict/struggle in your life that it inspires better songs? Totally! My best songs come when my heart is beat and tattered. I'm an artist, my man. That's just how it is. Do you have any idea where your songs come from? I think all my ideas are nestled deep in my mind somewhere. I just haven't lived all the life experiences that I need to bring them out. As I grow and learn they will show themselves and I'll capture them in songs. Do you have any advice you'd like to share with budding songwriters out there? Be honest with yourself and write from your heart. Click on the following to find JC on the web. This interview was by Ben Williams. Find Ben on TWITTER, FACEBOOK . The next artist to be featured on 'Songwriters talk about Songwriting' will be Kristyna Myles, so stay tuned.